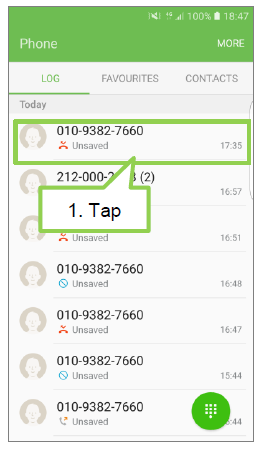 Galaxy S7 Flat/Edge: How do I report the spam number? 1. 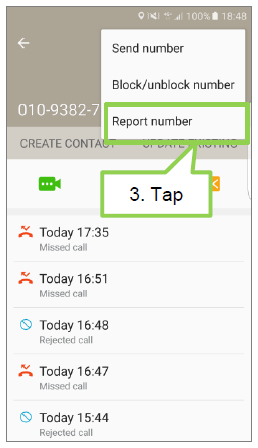 On Call log list,tap call number what you want to report the spam. 4. 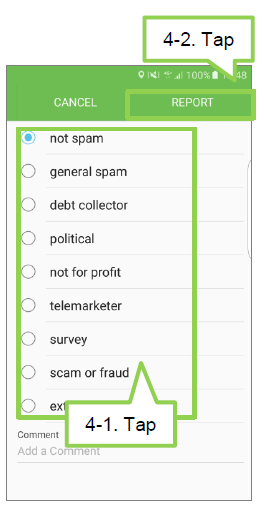 Select an item and tap REPORT. 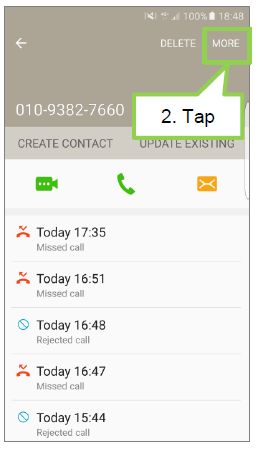 Galaxy S9/S9+: Why has the screen being turned on/off continuously during calls? [Galaxy Note 8] Why the sound is not clear after exposing the device under the water?